The BBC is bringing on-demand DRM-free content to users of GNU and Linux, but is at pains to point out that it won't be releasing its mainstream programmes without copy protection. On the BBC internet blog The BBC's Rapid Application Development (RAD) Portfolio Manager George Wright has explained how his team has been working with the Ubuntu company Canonical to bring content to a new audience. "This week, we're really happy to be sharing some work we've commissioned to deliver BBC content (mainly radio shows from the BBC Audio & Music team) on demand for users of GNU/Linux," blogs Wright. "In RAD, we've wanted to experiment with non-DRMed content for a while - and managed to assemble some content which was available to access in a number of ways. "We …worked with colleagues around the BBC and selected a list of available, updated, current content which we could make available both in and outside the UK." The resultant feed will be available in media player Totem and Wright adds "Some codecs will involve a download, and in some territories (mainly outside the UK) may be restricted, but the underlying framework is free and open. 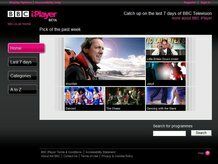 "This, quite clearly, is not a competitor to BBC iPlayer. It surfaces a lot of BBC content that is already available, but you won't see Doctor Who or Dragons' Den on there anytime soon. "What you will see is an increasing list of content, in both audio and video formats, that we can share with you in an experimental way, allowing us to explore and test new ways of viewing and listening to some of our TV and radio shows. "Some of the blog posts already online have mentioned that this involves all BBC content - that's incorrect - it's a limited subset designed for us to explore and evaluate how new platforms might need new distribution systems."